I am a client services coordinator at the Colliers International office in Houston. Supporting a wide range of advisors specializing in land, multifamily, occupier services and retail. My role as a client services coordinator includes developing and maintaining a staged marketing program for listing assignments, listing pitches, proposals and agreements, tenant/buyer site tour coordination, market research, marketing initiatives, online database maintenance, tracking deals, client support and contract/lease administration. I have been with Colliers International since 2017 and joined the Houston office marketing and research team as the marketing coordinator. While on the team, I was the go-to in-house resource for social media, custom web sites, public relations and onboarding for new hires. 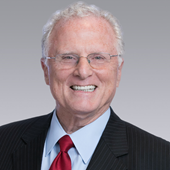 My career began with the United Real Estate Group, a fast-growing residential and auction company. I gained a depth of knowledge about executing proposals from the very beginning to post analysis; in addition, I focused on advertising and maintaining a network of advisors, specializing in recruitment and brand awareness. 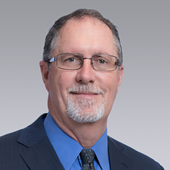 After relocating to Houston from Florida where I served as President of the Colliers offices in Tampa Bay, Orlando and Southwest Florida, I am the President of the Houston offices of Colliers International. Having over 34 years of experience in commercial real estate as a producing broker, educator, sales manager and managing broker, I enjoy assisting people with creating strategic and tactical plans leveraging my broad-based commercial brokerage background as a practitioner, manager and instructor. I started my career as Director of Marketing for a real estate database company where I spent three years interviewing top brokerage houses throughout the United States and assisted in their automation needs as a consultant and instructor. As President of the Colliers Houston office, I have direct responsibility for recruiting, training and managing the sales and leasing teams, property management and business plan creation and coordination for the company. 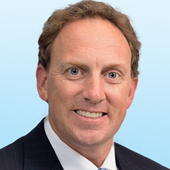 Joining Colliers International in 2008, I brought more than 36 years of experience in commercial real estate. 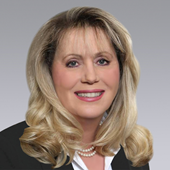 For 27 years prior to joining Colliers, I owned and operated MSC Properties, Inc., the Houston-based commercial real estate company I established in 1981. I have extensive experience in retail site selection working with clients including Burger King, Golden Corral Restaurants, Firestone, CVS Pharmacy, Walgreen’s, HEB Grocery Stores, Family Dollar Stores, Texas Citizens Bank, Texas Dow Employees Credit Union and Fidelity Investments. In addition, I have successfully worked in Asset Management Services. The Houston area properties of Security Benefit Life Insurance Company represented one of my most significant asset management portfolios with services including management, leasing, redevelopment and ultimately, brokerage of my client’s assets. I was a Colliers' Everest Award recipient. This award, created in 2011, is bestowed upon the top 10% of all Colliers professionals in brokerage, valuation and corporate solutions across the U.S. business based on revenue production. My expertise includes Office tenant representation, Land Acquisitions and Development. Key office clients have included Litton Loan Servicing, L.P., IMG Financial Group, The Rose, Shellpoint Mortgage Servicing, Beyond Finance, and Cornerstone Home Lending Inc., where I have responsibility for many of Cornerstone’s branch offices locally and nationally. I have also represented investors acquiring land for development and income producing properties. A recent land transaction involved the purchase and development of just over 126 acres of retail land at Beltway 8 and Fairmont Parkway, recognized as one of Southeast Harris County’s most dynamic retail areas. Of this total, approximately 84 acres were sold to the Trammell Crow Company for retail power centers and to CVS Pharmacy, with the remainder under development for the owner. Among my recent development projects, I completed a medical office building, a Class A office building and a retail center for clients. I serve as Senior Vice President for the Texas Multifamily Group. I bring a tremendous depth of knowledge and multifamily expertise with over 20 years of real estate and multifamily experience as an owner, broker and developer. I am licensed in Texas and Oklahoma. Prior to joining Colliers, I served as a vice president with CBRE and as senior vice president of Watermark Companies, a regional real estate investing and development firm. I am an expert in multifamily acquisitions, dispositions, development and redevelopment. I serve as the Senior Managing Director of Multifamily here at the Colliers International office located in Houston, Texas. From 2008 - 2016 I was part of the Colliers Investment Services Group (CISG). Also during that time, I was a member of the Colliers Asset Resolution Team (CART) from 2009-2016. During the year 2010, I became Co-Chairman of Colliers Multifamily Advisory Group of North America (CMAG). In 2013, 2014, and 2015, I was a Colliers' Everest Award recipient. This award, created in 2011, is bestowed upon the top 10% of all Colliers professionals in brokerage, valuation and corporate solutions across the U.S. business based on revenue production. Back in 2015, I was awarded the "Top 5" Production Broker Award and in 2016 I joined the Core High-Value Transaction Group as the National Multifamily Director. 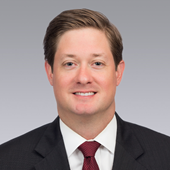 I have been an Associate at Colliers International in Houston since 2015 and part of Colliers Investment Services Group (CISG). I specialize in multifamily assets with an emphasis on properties within Texas and the Southern United States. Colliers Houston’s ISG team takes a consultative approach to commercial real estate which includes developing and executing strategies that are both consistent with its clients’ objectives as well as feasible in the current market environment. I have had seven years of multifamily real estate experience. Most recently as an analyst with the HFF Houston Multifamily group where I was directly involved in over $6 billion in transactions. In that role, my responsibilities included underwriting and market analysis for both existing and to-be-built acquisitions and dispositions. My primary focus is on multifamily investment services and capital markets. My responsibilities include multifamily investment sales, business development, financial and debt analysis, market research, due diligence and offering memorandum production. I am a long-standing Houston area native, having grown up in Sugar Land. I received my BA from Baylor University in 2011. After graduating college, I worked for Planned Community Developers Ltd. where I assisted in various local development projects. 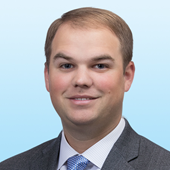 I joined Colliers International in November of 2011 and served as an Associate under the Managing Director of the Colliers' Fort Bend office. While in this role, my specializations included land sales, investment sales, office and retail leasing. I was responsible for overseeing the leasing of over 400,000 square feet of office and retail developments and was actively involved in over 100 transactions with volume in excess of $60,000,000 to date. I now focus on office leasing in Houston and the surrounding areas with a primary focus on tenant representation and occupier services.